The summer projects have already commenced at Copperleaf with two of the biggest projects, the rock walls on Hole 15 and 6 completed. Over 700 feet of rocks have been installed as part of the Kipp Schulties Master Plan with several more rock walls scheduled for next year on the Practice Green, Hole 2, Hole 11 and Hole 18. Heavy equipment was rented for the moving and placing of the rocks. With some of them weighing over 2000 pounds, the work was tedious and time consuming to transfer the rocks from the Maintenance Facility to their final destinations. Ricardo Gomez, one of our long term employees, was once again instrumental in assisting with the project and without his efforts, these type of projects could simply not be undertaken. The rocks that were placed on the turf before being installed created quite the hazard for all golfers and I appreciate the patience of our Members and guests during this project as construction was carried out amongst play in an effort to beat the summer rains. and laid into place with the Excavator. Overall, the entire project has been a success with many compliments coming from both golfers and guests. Architect, Kipp Schulties, has visited the site and is extremely pleased with the results. 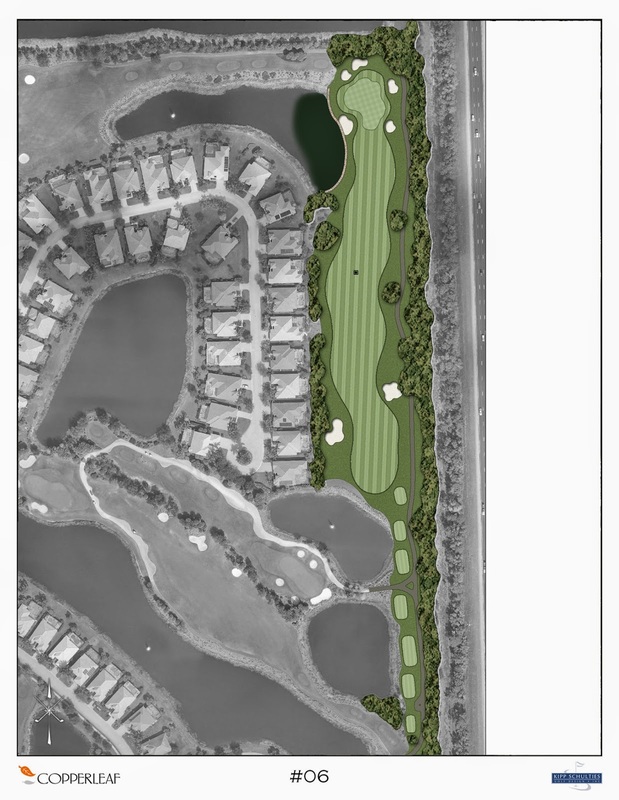 From a golfers perspective, the narrow approach areas on both holes has been widened by around 15 feet and creates a slightly easier approach to the greens complex without golf balls rolling into the water as easily. From an aesthetic perspective, the increased visual quality from both the golfers view and from the surrounding homes, the change has been quite dramatic. I cant thank the Copperleaf Maintenance staff enough for their work in constructing and completing these projects; it is a massive undertaking to complete "in-house" and still be maintaining the golf course to the high standards expected on a daily basis. 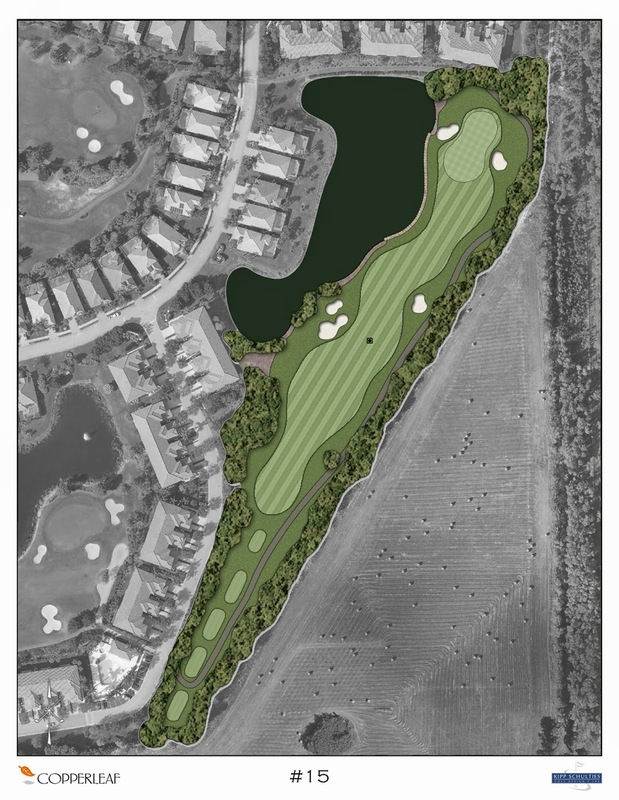 We look forward to the renovation of the golf course starting April 13, 2015 and the various projects that will be undertaken.